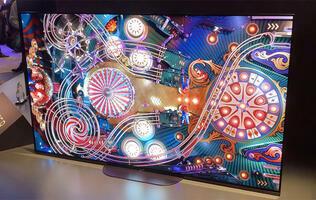 The next generation of Bluesound's high-res multi-room music systems are finally in Singapore! For those reading this for the first time, in broad strokes, the Bluesound Gen 2i adds dual-band Wi-Fi (802.11ac), aptX HD support for 24-bit music streaming over Bluetooth, two-way Bluetooth, and Apple's MFi authentication chip for AirPlay 2 wireless streaming. 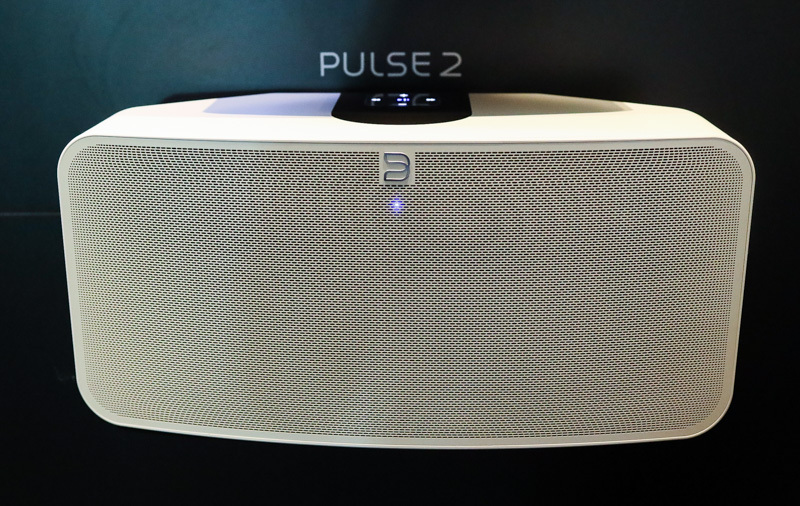 First up, there's the S$1,299 Pulse 2i. Measuring 420 x 198 x 192mm and weighing 5.05kg, this gets new custom-designed digital amplifiers and, as you can see from the pictures above, new drivers to match. The Pulse 2i can now function as a true stereo speaker with its two sets of drivers, with a total power output of 150W. DSP settings like Wide Mode, Late Night, and Dialog have also been carried over to the Pulse 2i and the Pulse 2i Mini, giving you more options to get sound the way you want it. 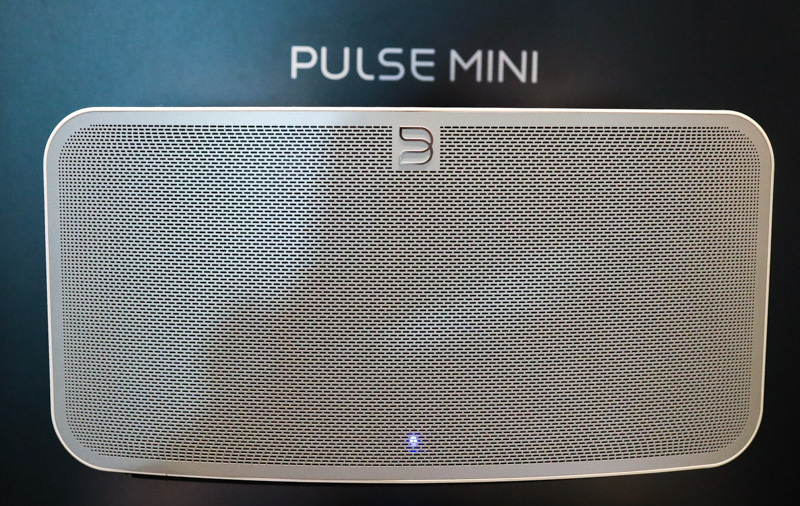 Smaller and lighter, but no less capable, the S$799 Pulse Mini 2i measures 335 x 172 x 155mm and weighs 3.6 kg. As mentioned above, this also has two drivers and is able to push out 100W of total power, with a frequency response of 45Hz-20kHz. 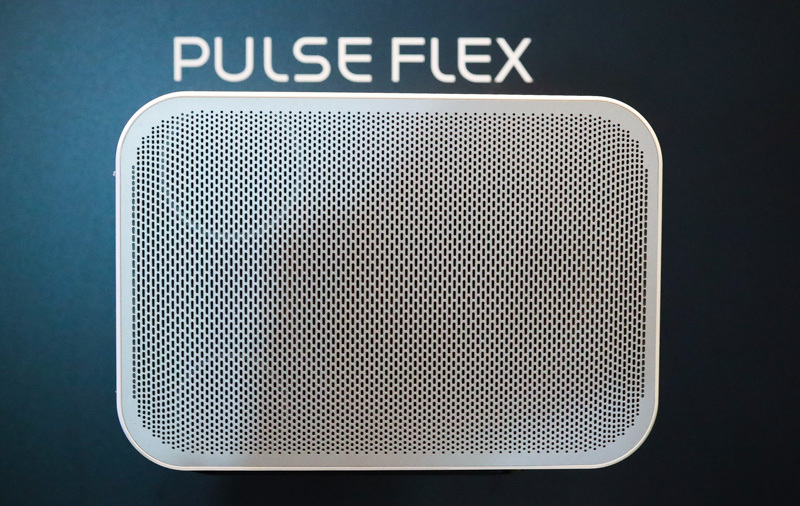 A more portable member of the family would be the Pulse Flex 2i as seen above. This has a 1" tweeter and a 3.5" woofer for full-range sound from 45Hz to 20kHz, and it can be fitted with a rechargeable battery so you can take it on the road with you. 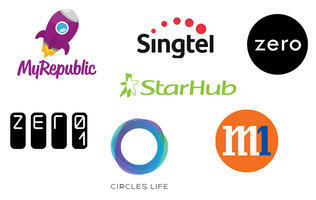 That battery pack retails for S$108, and gives you six hours on a single charge. The Pulse Flexi 2i retails for S$499, so you'll be looking at about S$600 for a portable solution you can use outdoors. We were given a quick audition of all three speakers with the same track - Ed Sheeran's Shape of You. As expected, the Pulse 2i was easily the most powerful of the three. The speaker seemed to perform best in the lower mids, but demonstrated good clarity in the highs with nice naturalness to the vocals. Compared to the Pulse Flex 2i, the Pulse Mini 2i obviously had better stereo separation, though we found the bass to be a little reserved. Clarity was also better on the Mini though the Flex 2i still managed to produce good details on the drums. The latter exhibited slight distortion when pushed to higher volume though, so we'd recommend not pushing it too loud. 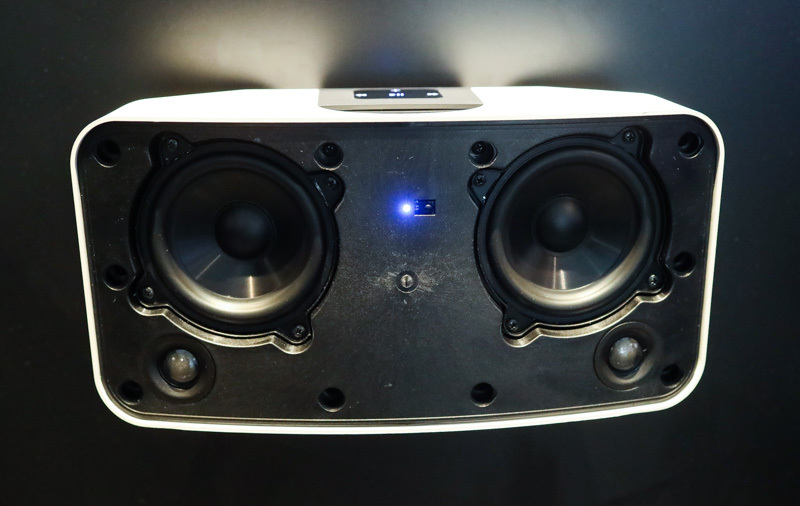 Bluesound's wireless music streamers have also been updated, so the Node 2i you see here gets enhanced dual-band Wi-Fi, a 32-bit/192kHZ DAC, two-way Bluetooth functionality, and AirPlay 2. 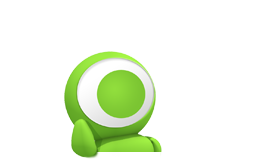 That's on top of support for music streaming services like Tidal, Spotify, and Qobuz. 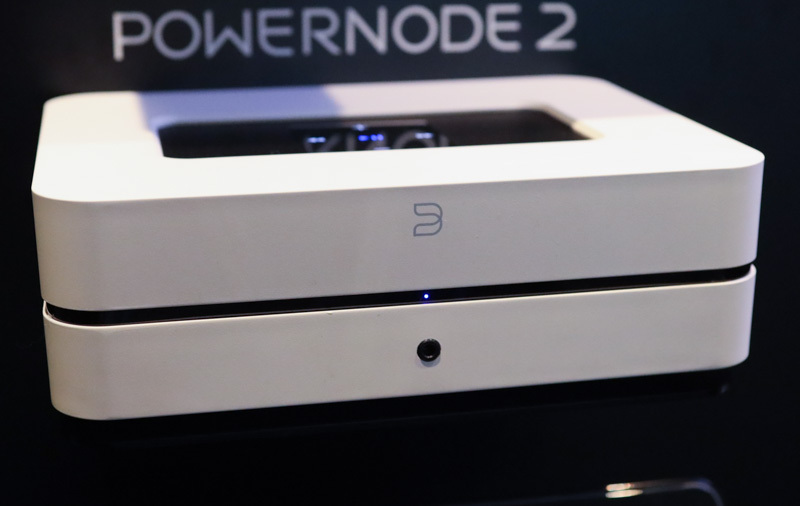 The Node 2i is going for S$799. Moving up you get the Powernode 2i. 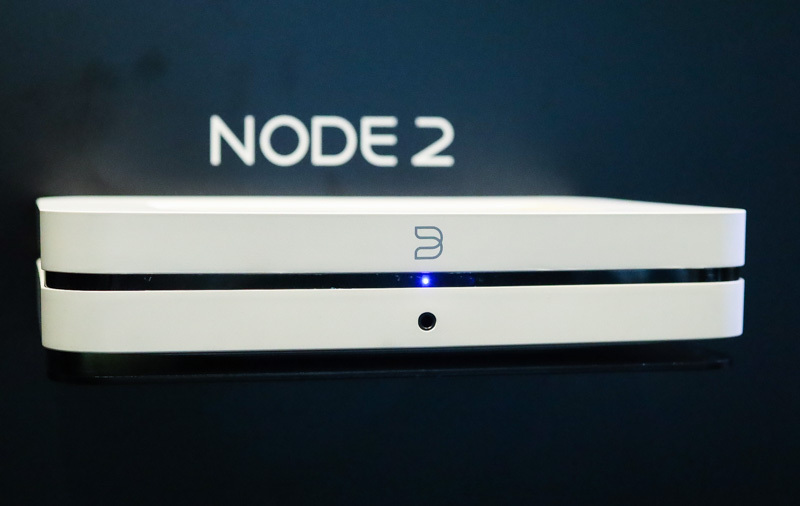 For this you get all the conveniences of the Node 2i and the ability to power passive speakers. You can turn any speaker into a smart one simply by plugging it in to a Powernode 2i. 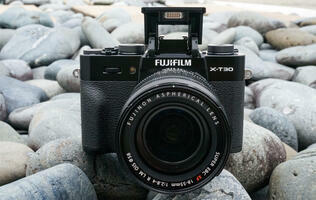 The device also supports dual-band Wi-Fi and aptX HD Bluetooth support. 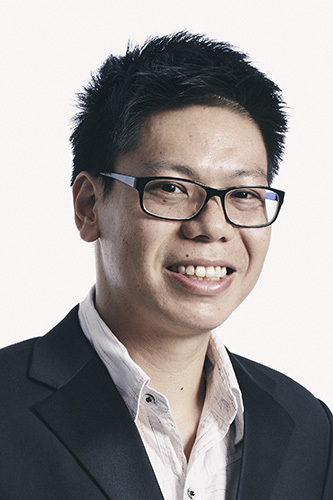 The Powernode 2i retails for S$1,299. Finally, there's the Vault 2i. Retailing at S$1,799, this is a network streamer, CD-ripper, and music library all in one, and it lets you preserve your music CDs in bit-perfect high-resolution formats on an ultra-quiet 2TB drive. You can hook this up to a pair of powered speakers or use it to stream music to speakers across the house and take advantage of its internal 32bit/192 kHz DAC. 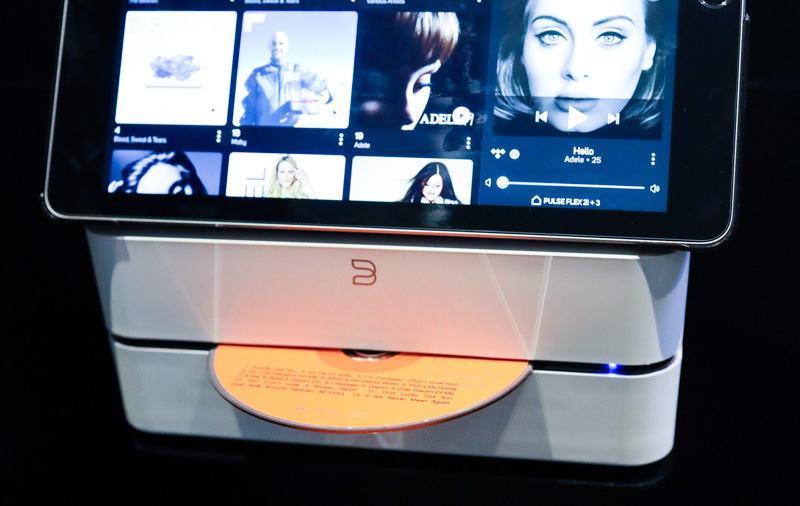 All Bluesound models feature BluOS, a music management system that helps you keep your entire music library organized, as well as lets you simultaneously manage all the speakers in your home. With AirPlay 2, you'll also be able to use Siri on your iOS device or HomePod to control the speakers. 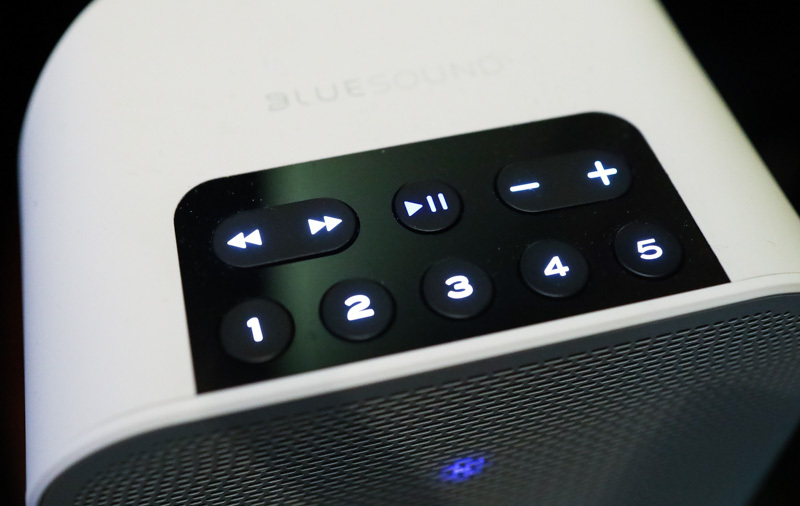 Grouping a Gen 2i player with older Bluesound players in the BluOS app will extend this to your entire BluOS system, so they'll also get the benefits of AirPlay 2. All Gen 2i models are available now at authorized Bluesound resellers.